In the online gaming world, Deccan Rummy is a name that needs no introduction, as it is one of the premier online gaming sites in India. 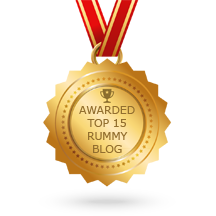 With multiple rummy tournaments and attractive promotional offers running throughout the year, it is one of the most trusted rummy sites in the Indian rummy site. The rummy giant is known for its high-quality gaming services and unmatched customer experience, making it the best in the industry. Deccan Rummy is pulling all stops to ensure you have one hell of a journey playing rummy online. Amazing April is here – a cocktail of lucrative tournaments, exciting bonus offers and several other promotions that keep the avid rummy enthusiasts. A month full of extraordinary rewards has just gone live! This is probably the best time to play rummy online and boost your chances of winning! 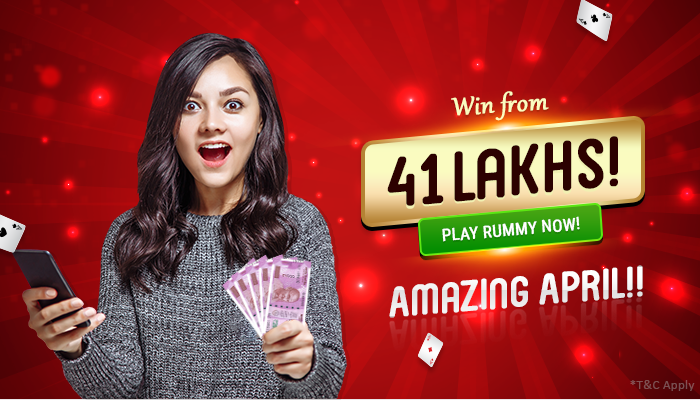 With a total giveaway of a whopping 41 Lakhs, the offer ranks as one of the biggest by the maverick rummy site this April. The offer is valid throughout the month. Want to know what’s on offer? Read on! Celebrate Ugadi in a grand way by playing and winning this Ugadi special tournament. Fight for a prize pool of Rs. 50K by playing this awesome tournament on April 6 at 8 PM. Get free tickets to this tournament by making a deposit of Rs. 500 from Apr 3 – 6 and get free tickets to this tournament. Put your cricket acumen and rummy knowledge in place to win big from this fantastic contest and win from the mammoth prize pool of Rs. 10 Lakhs. The contest is running throughout the IPL and is ideal fodder for players who are craving for high-intense online rummy action. Predict the winner while registering and play with a low buy-in of Rs. 10 and get the double of what you win if your prediction comes true. 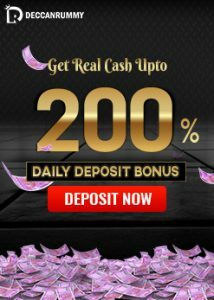 In this Amazing April carnival, players can avail cash bonuses up to 90 % by using the respective promo code of Atomic April and Deccan Bonus Bounty bonus offer. IPL Bonanza is yet another fantastic predict and win bonus offer which will give you an opportunity to double up on your loyalty points if your prediction comes true. Scoop big wins from the colossal 20 Lakhs prize pool in our free rummy tournaments without investing a dime. It is your chance to reap rich rewards at no extra cost. Win extraordinary cash prizes from the colossal prize pool of Rs. 10 Lakh with a low buy-in! Enhance your chances of big wins by regularly participating in these awesome tournaments. So that’s round the clock entertainment guaranteed with immense prizes! 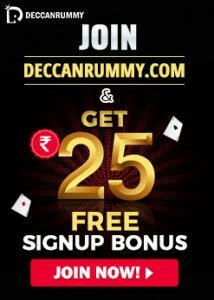 Amazing April offer is open for all users of Deccan Rummy. So if you are a regular player or even a casual one, this is your chance to go for some big winnings. So what are you waiting for? Gear up to be a part of this exciting series! It’s an opportunity you should definitely grab on. If you don’t have an account, register now and try your luck at winning some extra money.